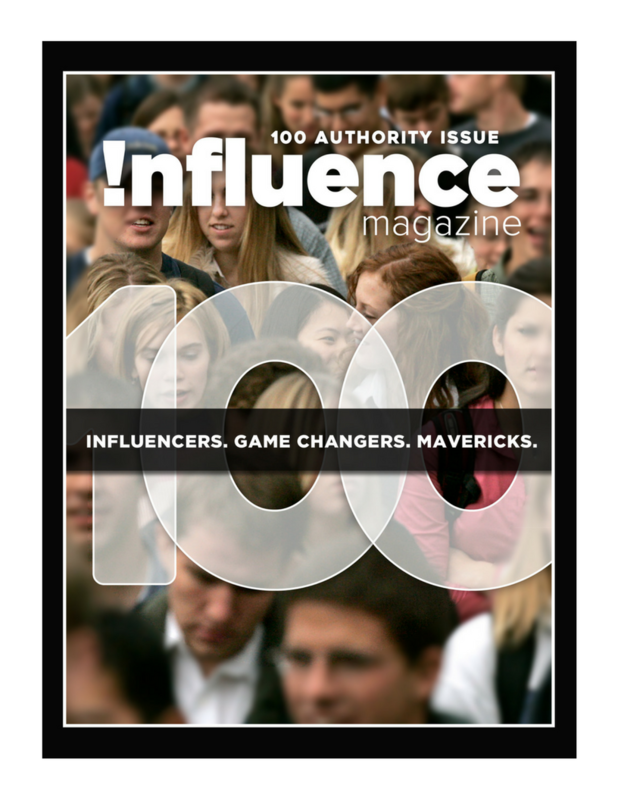 Influence Magazine | Shelley McQuade, the Peak Prosperity Coach with a secret weapon. 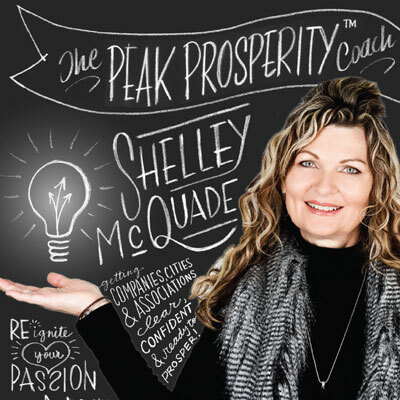 Our Editor-in-Chief, Sharon Ricci sat down with Shelley McQuade, the Peak Prosperity Coach to get the story behind the success. Shelley can be found working with organizations, boards, individuals and companies who want to work efficiently and at their highest capacity. As the past Chair of the Burlington Chamber of Commerce Shelley is a proven leader in her community and an outstanding professional. What are three characteristics that got you where you are today? #1: Persistence – Once I make up my mind that I want something, I am like a dog with a bone and won’t let it go. I can thank my Dad for that attribute. #2: Resilience – We all see successful people and believe it was effortless for them, with no failures or problems. It is my experience that all of us experience adversity at different times. At the beginning of the book "The Alchemist," written by Paulo Coelho, Coelho profoundly wrote: “You will fall down six times and the trick is to get up seven times”. This is so true. #3: Joy – I have a deep sense of joy and have maintained that throughout my life. I am an optimist, I see the glass as half full. I look around me at the beauty of life – nature, people, all of it and the joy this gives me is immense. Life's an adventure. What are some of the highlights of yours? I love adventure and like to push the envelope; to try new things and visit new places. When I was 16, a friend and I went to Florida on our own (Mom if you’re reading this, I still can’t believe you let us go). We had a great time, and surprisingly for the most part, we stayed out of trouble. Since then, I was bitten by the travel bug: In fact, I’ve been to every province in Canada except Newfoundland, most of the States, a number of Caribbean Islands, Mexico, Brazil. Our most recent trip took us to Italy where we enjoyed the fascinating history and breathtaking sites. This year we are planning a trip to Peru. What doesn't kill us makes us stronger. What's made you stronger in business? Are you where you expected to be right now? Yes, I am. At times I reflect and say to myself, “Wow I really made this happen”. It’s a good feeling to create a vision of what you want your life to look like and presto it appears. To be clear, it certainly didn’t happen overnight but I have kept the faith and am happy to report for the most part that my dreams have come true. It needs to be what I call a right fit. I have a saying – I am not everyone’s cup of tea but for those who I am, the results are incredible. If I don’t genuinely feel I can provide value then it is not a good fit. I’m all about win/win/win. I just handed you $1,000,000 for your business. What will you do with it? Wow, jump for joy! After that, I would take the Peak Prosperity System I have developed, and invest in getting it to the masses. Are weekends sacred or do you work through them? I tend to keep them sacred if at all possible. I am a huge believer in down time and recreating. When I work, I am full out so I need the weekends to spend time doing yoga, hiking, reading. My husband Tim and I love to cook, enjoy a nice glass of wine, have friends for dinner. For us, food is love (I think that’s the influence of his Italian background). Many a weekend, one of my son’s has a bunch of friends over and we find ourselves serving breakfast, lunch and dinner. I tease Tim that we should open a restaurant. He gently reminds me that typically I’m the one laughing and joking with our guests while he’s slaving over a hot stove. He’s right of course so I think we’ll stick to in house entertaining. How were your report cards in high school? It’s interesting. I got the academic bar (over 80%) every year from grade 4-8. Then I hit high school and discovered boys and not just boys – boys that were taller than me ( I was 5’8” in grade 8). I must confess my marks suffered. I also had this terrible habit of reading novels in class rather than listening. I have a good memory so would borrow notes if needed and cram before the exam. I finished up in the mid 70’s, I could have done better but didn’t apply myself. What advice would you give an entrepreneur who feels like calling it quits? I wrote a blog about that called “How will you know when the fat lady sings?”. In the post, I describe the scenario of a fork in the road. One path points to the point of no return (too much debt, missed opportunities, a changed market and the death of passion!). The other path leads us to see it (our problem) as a bump in the road. On this path, the right tools and support keep you striving for success. In order to stay on the path of success, I would recommend that entrepreneurs get a second, unbiased opinion that offers a new perspective in times of uncertainty. In the end, to decide if the fat lady really is singing, just ask yourself if you still believe in what you are doing: If the answer is “no” and you can’t see shifting that belief, it is time to say goodbye. Life is not linear. The experience you gained may be just what you need to take to you to your next great thing. Be yourself. One of my favorite sayings I share with clients is “You can only sustain who you naturally are”. It is much easier and more fun to swim downstream than upstream. I am a lifelong believer in flow, the magical place where you are working your strengths. To me, that’s a combination of your passion, talent and values. What's the most important thing you'd teach a child? How to be self-sufficient and follow your heart. I think it’s important to provide kids with life skills so they can cope and be high functioning, independent adults. I think this generation of helicopter parents (continually hovering over their kids) have robbed children of decision making abilities. Kids no longer walk anywhere on their own, hang out by themselves until they get bored, or have responsibilities or chores they need to do. We have given our kids a false sense of the real world and when they become adults they will be disappointed. I think that’s why we are seeing the increase in teen/young adult depression. In addition, in high school we give them so many options that if they haven’t found their inner voice or niche, they’re overwhelmed. I believe we should be providing kids with an education in basic finance, cooking, and household maintenance skills in high school. If their parents haven’t taught them these things, they’re lost when they get into the real world. I am proud of my life and how I have crafted the life I dreamed of. I am proud of my two sons, who have found their passion and are moving forward. My oldest son is finishing the final year of his apprenticeship as a machinist and my youngest son is in his first year of Physics and Astronomy at University. I am proud of my husband Tim, who is currently training as a volunteer firefighter. He is an amazing guy that provides me with tremendous support. Happy, in the moment, collaborative, interested.